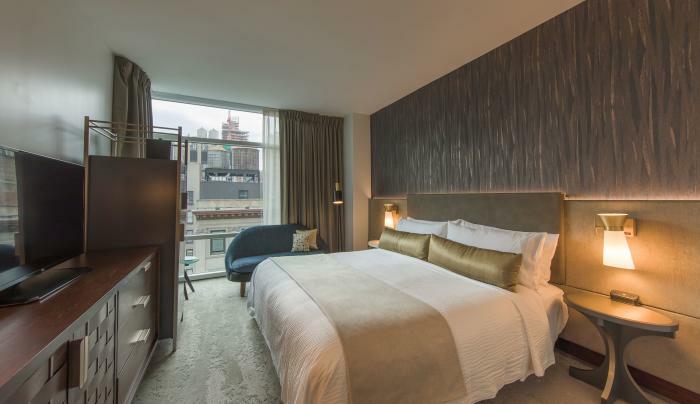 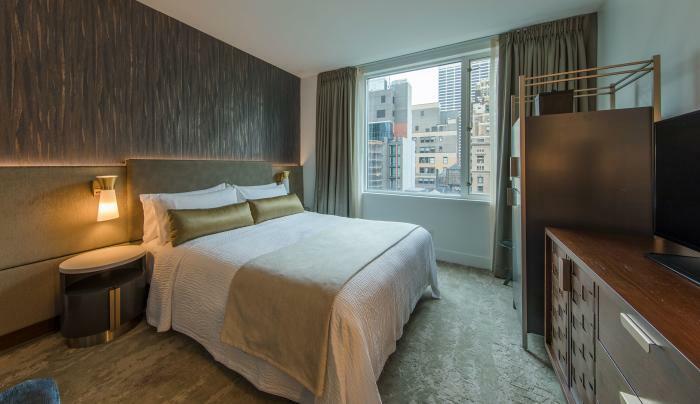 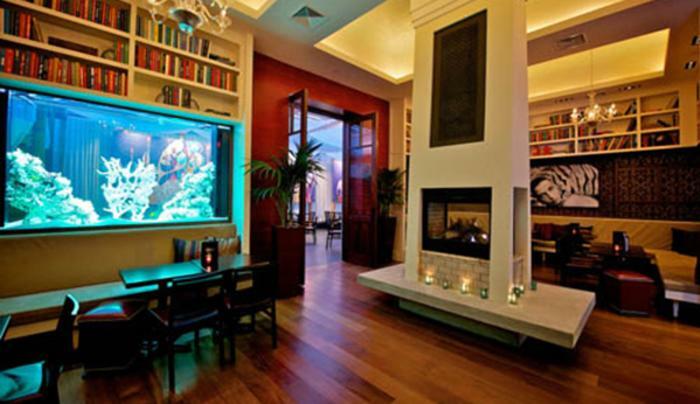 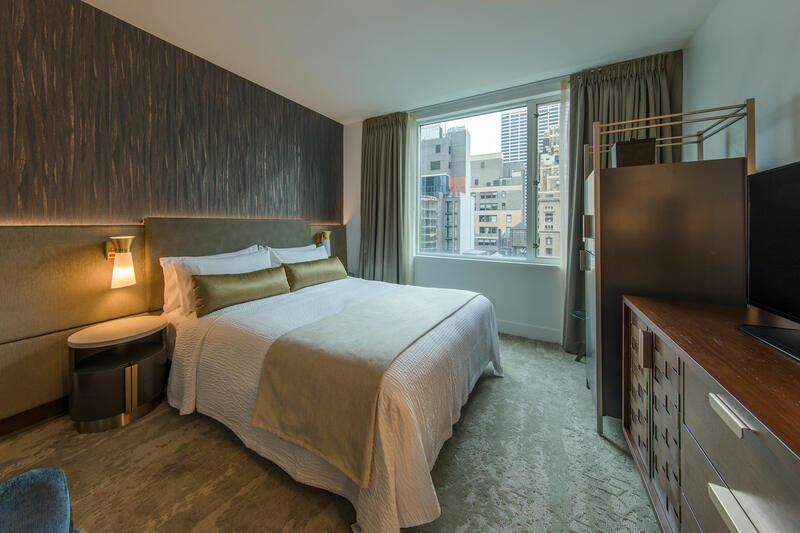 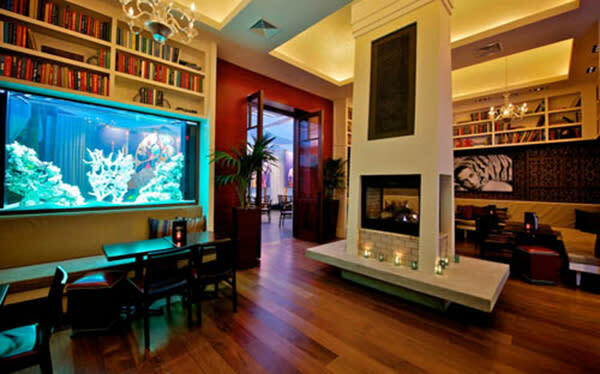 Marriott Vacation Club Pulse, New York City is a stylish boutique property in the heart of the City's Fashion District, centrally situated between Penn Station and Grand Central Terminal, and also near Times Square, the Broadway theater district, and designer boutiques on Fifth Avenue. 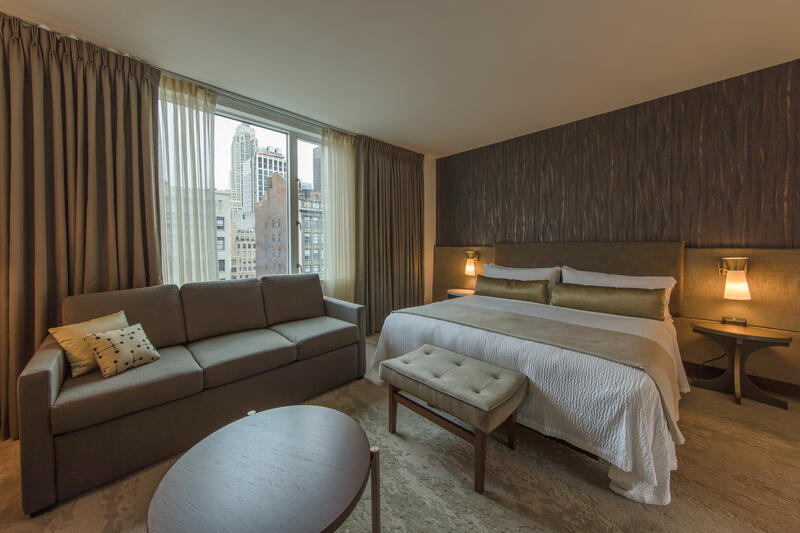 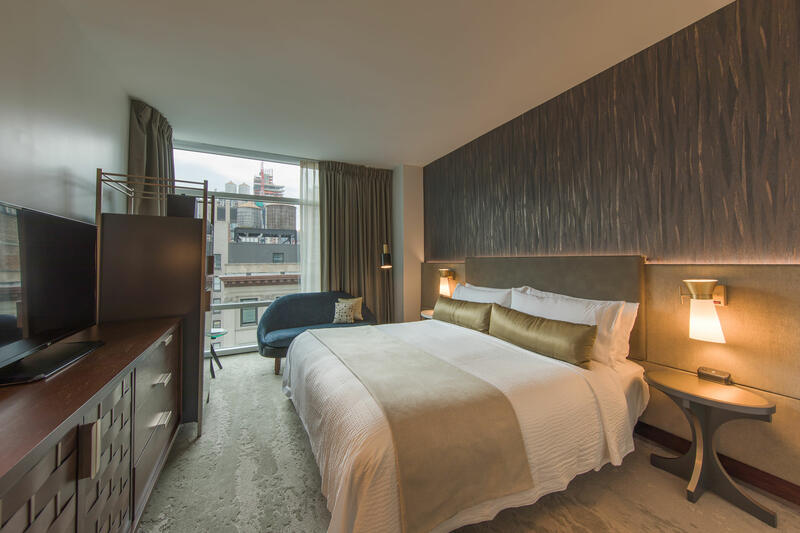 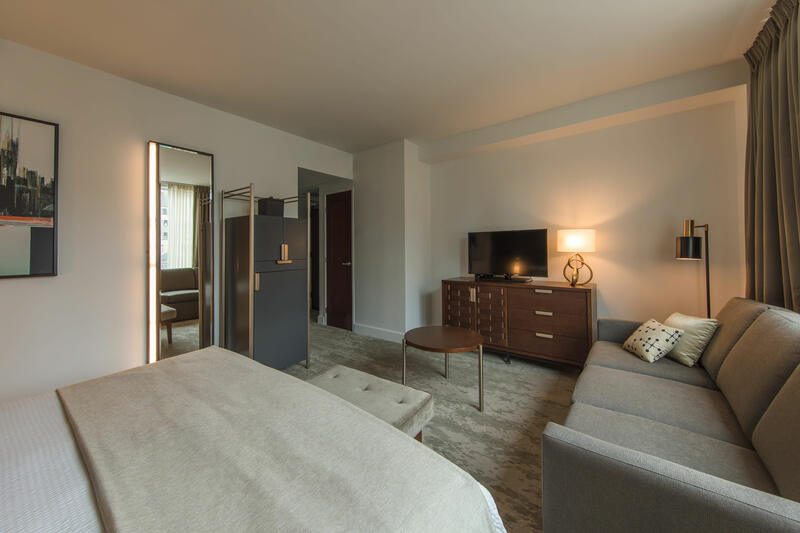 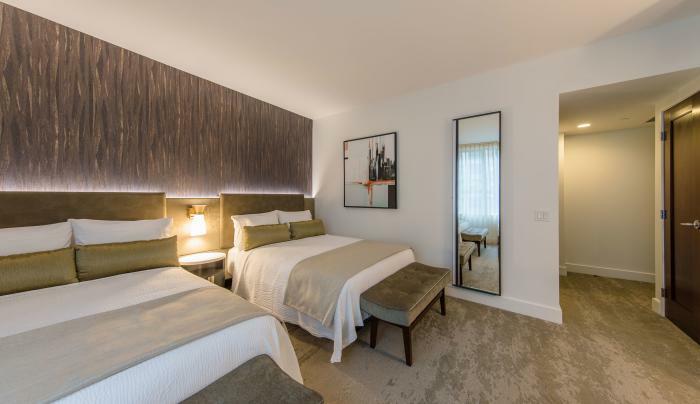 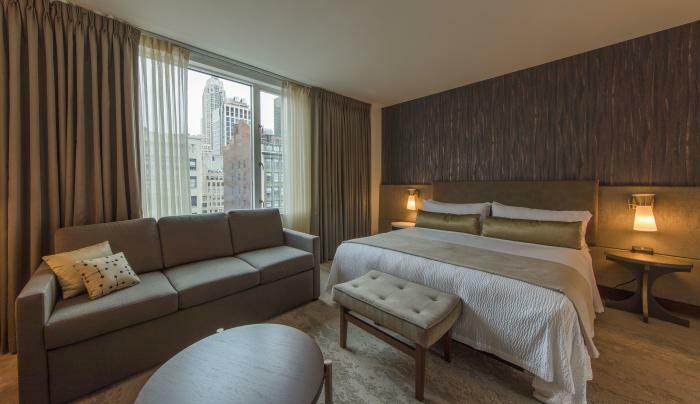 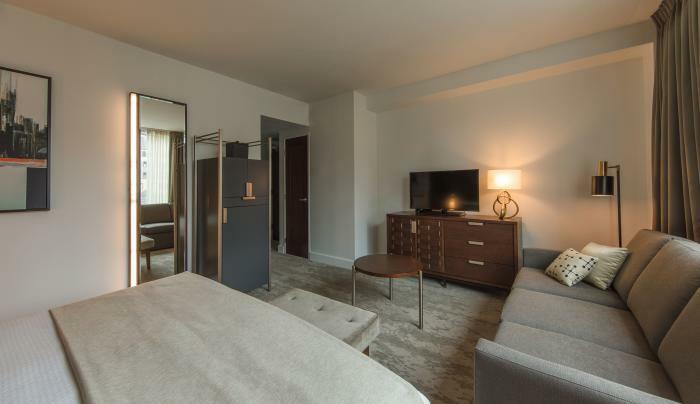 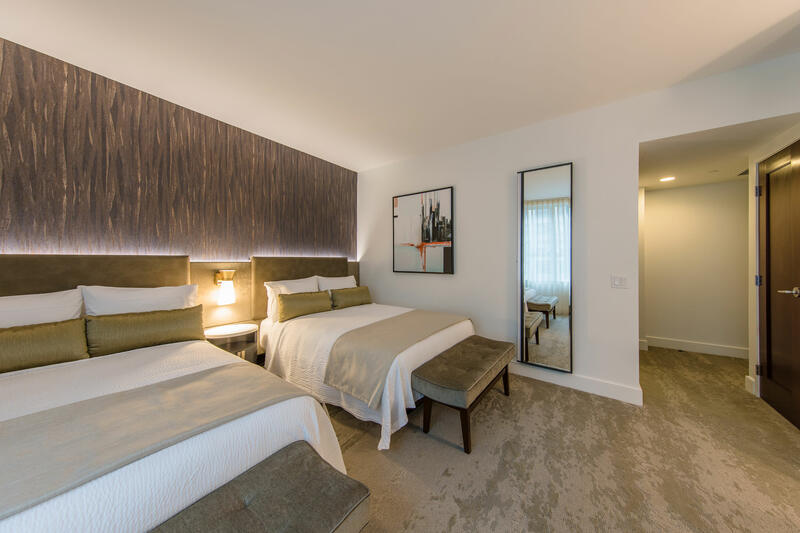 Its 177 sophisticated guestrooms offer plush bedding, elegant furnishings, spa-inspired bathrooms with sleek granite counters atop custom wood cabinetry, high-definition televisions and complimentary WiFi. 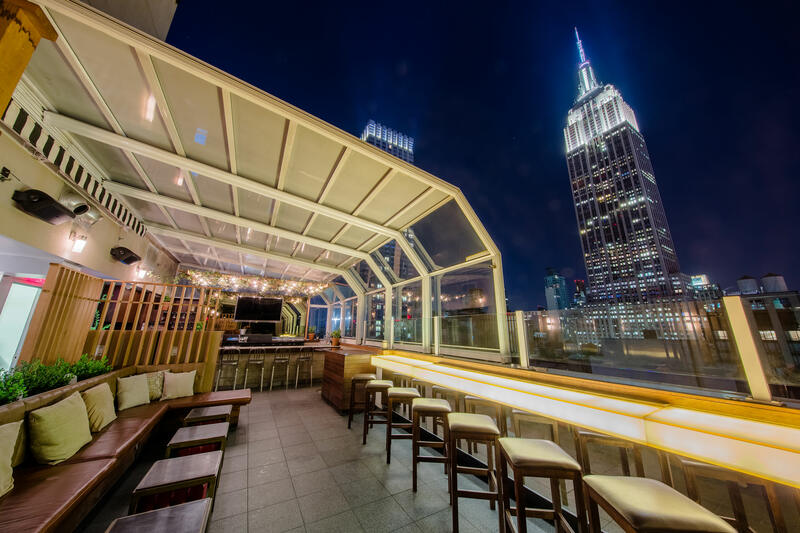 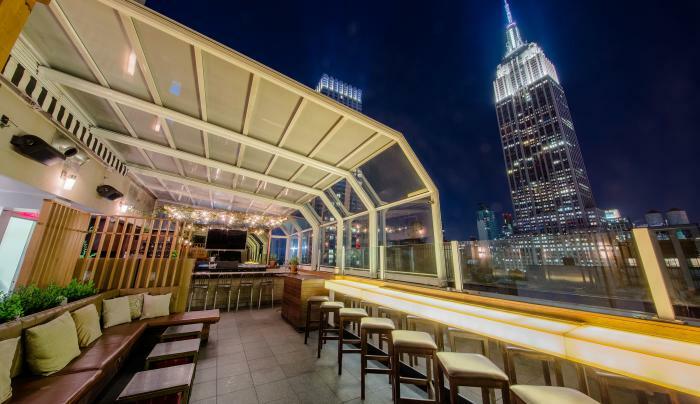 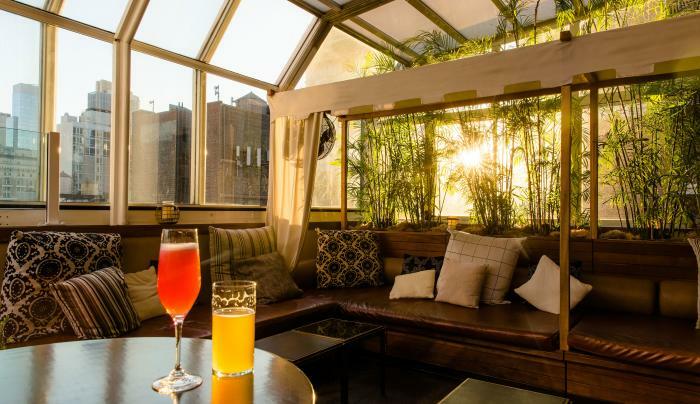 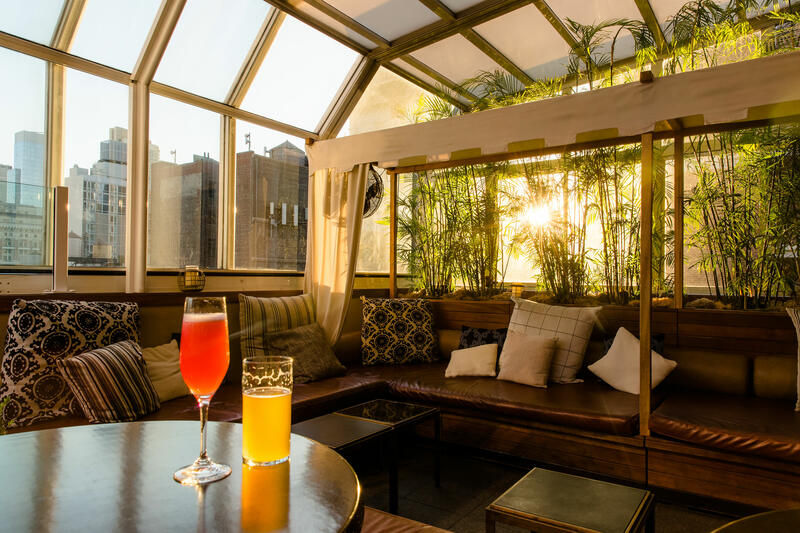 The all-weather rooftop lounge overlooks the iconic Empire State Building.